These two love to play together. 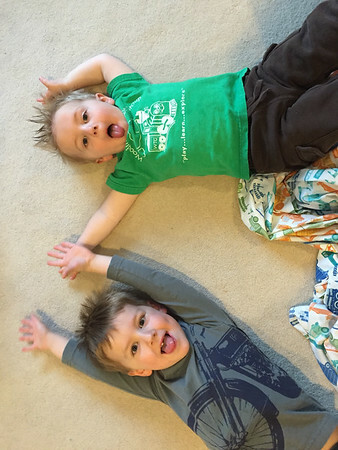 Cooper loves to ride and Nicholas loves to push, stroller, cart, toys, anything. 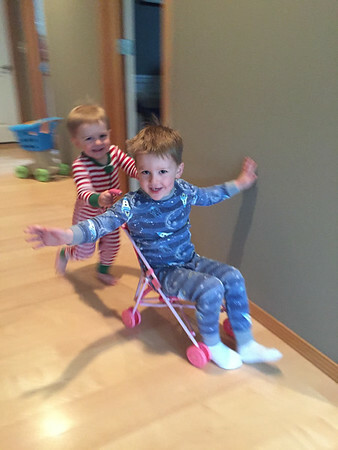 It cracks me up to see little brother pushing big brother around town. Exhaustion finally won over a Cooper. 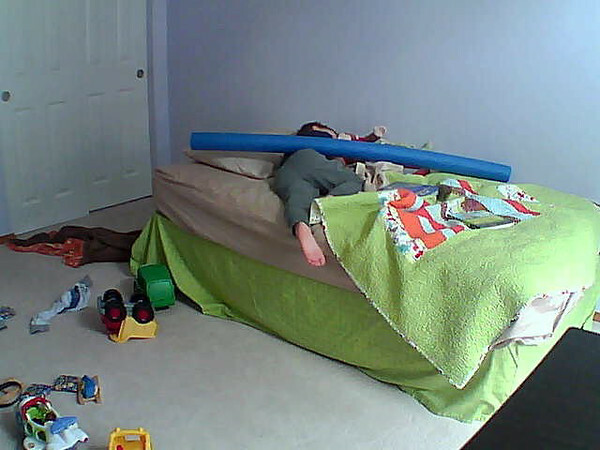 I love all the toy action on his floor and then it looks like a pool noodle is what finally took him out for this afternoon’s nap. 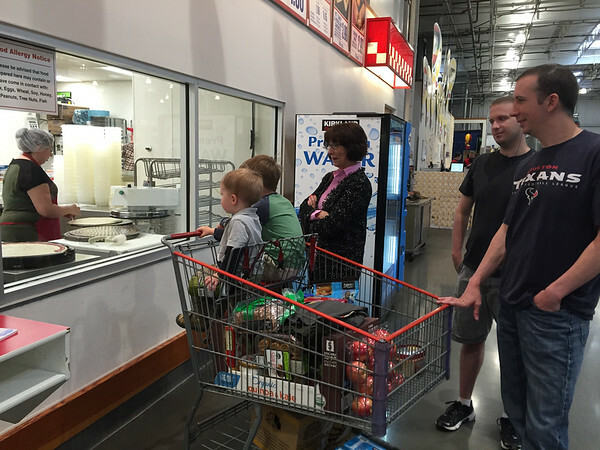 A visit to Costco with the Kochman brothers is not complete unless you stop to see the pizza sauce machine in action Just capturing the daily silliness. 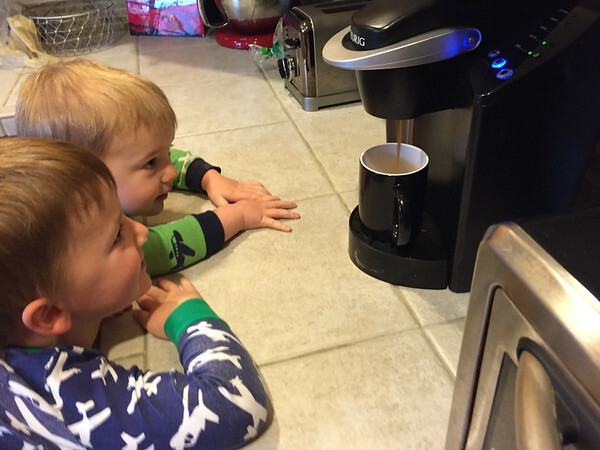 Weekends and grandparent visits are the best because then they get to help with the coffee machine Family airplane oil change. I hear rumors in the coming years this could be a boy bonding time activity. 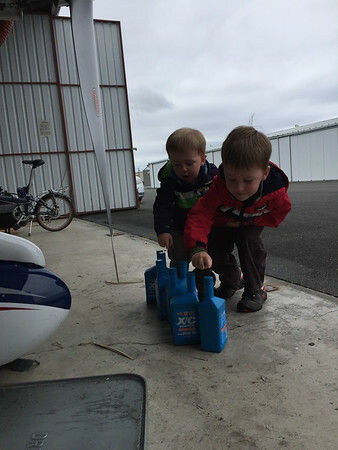 Until then, we will do our best to keep the kiddos entertained/out of the way and have them recount the oil cans over and over again 🙂 A highlight of sheet changing day. 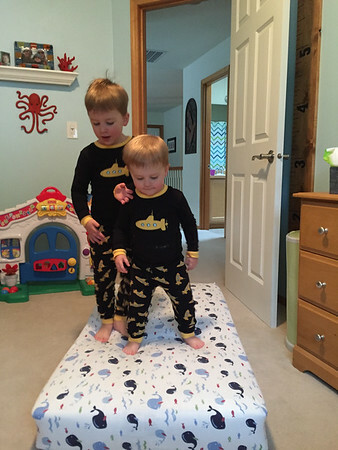 Jumping on Nicholas’ bed in their adorable matching pjs.